Is there a spell to quit smoking? Well the obvious answer is yes! This is a modified version of a spell that was written over 28 years ago. This spell is useful to stop drug use of any kind but can also be used as a spell to quit smoking cannabis. Having a habit control your life isn’t health. If you still have trouble with the urge to smoke and can’t get over smoking something like tobacco which is so harmful to your health – then please seek professional guidance. Check out this link for how to quit smoking if you are a teen for more helpful information. You must do this spell on the morning of the new moon at 7 am. Take a white charm of some sort and dressed in all white set flame to all your cigarettes. Put on a nicotine patch and your white charm and go for a run. While running (or walking if you are really out of shape) chant mentally or aloud: ‘Goddess grant me health, steadfast this morn, ye path I accept, I smoke nor longer, I deal with things in a healthy way, I no longer wish to smoke’. Run or walk your mile and then go back to start your day. You should try to run to this chant for 40 days. Start an online journal and let people know you are quitting, start a YouTube channel to document your experience and to watch your own progress. Speak to a therapist or find an online support group to encourage you to not give up. 40 days after doing this spell to quit smoking you should be thinner, happier, healthier and NOT SMOKING! If you decide to do this wiccan spell to quit smoking – please leave your comments below! Thank you for coming by! 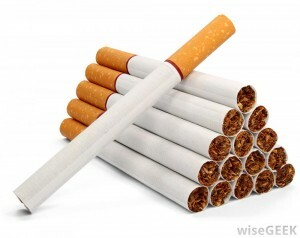 Systematically decreasing the number of cigarettes you smoke. Reducing your intake of nicotine gradually over time.